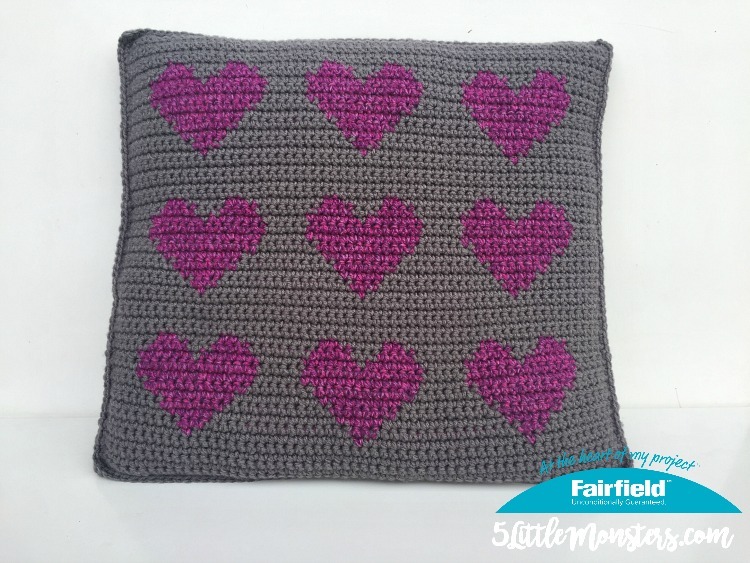 I finally got my newest pattern up on the Fairfield World site. 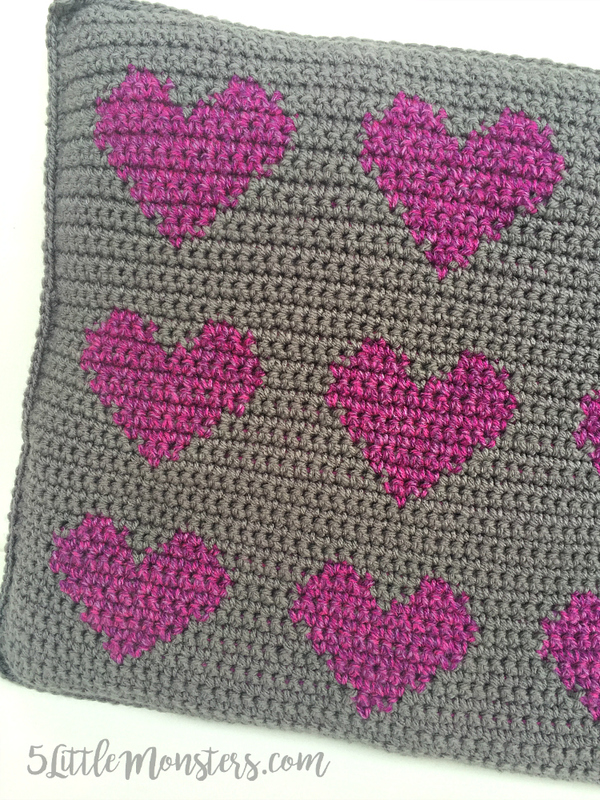 I wanted to make something to get ready for Valentine's Day next month and I had the idea to do another graph pillow but this time I used single crochet instead of corner to corner. 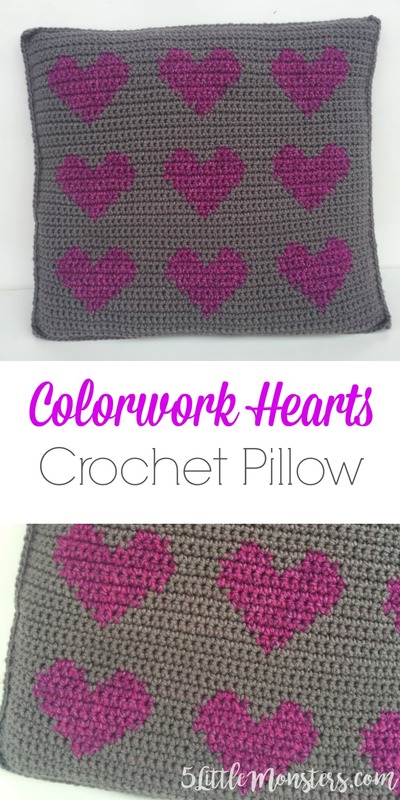 Because it is all single crochet it is a beginner friendly project. No complicated stiches to learn, just a basic single crochet. You change colors as you work to make the hearts.